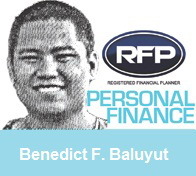 PINOYMONEYVANTAGE | Personal Finance in the Philippines: 13 WAYS TO JUMPSTART YOUR PERSONAL FINANCE THIS 2013. 13 WAYS TO JUMPSTART YOUR PERSONAL FINANCE THIS 2013. 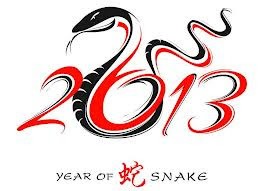 Holidays are over and we have moved forward to this year with high hopes and positive outlook. The past year has shared a lot of events from positive economic reports, increase business activities, there have been negative news from disasters and catastrophes that happened either natural or manmade during the latter part of 2012 in our country including the rumored Doomsday Prophecies of December 22, 2012 according to Ancient Mayan Calendar prediction which made world headlines a few days before the holiday season. The spending during the past season had piled up and it did does not justify the expenses we incurred during the festive season for our friends, loved ones and colleagues so we better shape up or ship out in our finances. Many superstitious people believe that the number 13 is an unlucky number but there is no reasonable explanation why we should have phobia on this because it is just a number? Still the destiny still rest in our hands. This 2013 there are thirteen 13 ways to help uplift your spirits that could serve the purpose controlling the cash flow, let me share them to you. Make a daily budget plan If you skip doing this in previous you have be more disciplined and committed in doing this to monitor your expenditures. It will take time and effort to get over this but a person who has a will in fulfilling should stick with that principle of saving. Let’s say your daily expenditures should be at 300 pesos only and you have worked it out on how to manage your finances efficiently. Think of money saving ideas that could help you lessening the the daily expense on lunch or dine outs and lessen drinking expensive tea or coffee. Save your coins if you have loose change just placed in your tables or left behind in your cabinets. Better to bundle them together and save them in your coin accumulation and storage receptacles such as piggy banks or money boxes. Although coins are heavy they are still used as legal tender or medium of exchange (money). Pay your debts – with unavoidable shopping spree and tempting offers from different malls last month with big SALE signs advertised on newspapers, billboards, print and online could get you tempted to buy things that you really do not need with guilt feelings. Be sure to closely check you’re billing statements and receipts on this. Unmonitored expenditures could spiral if left unchecked. Be sure to pay you debts as soon as possible especially credit cards. But if you cannot pay it immediately, you can ask your credit card companies for an extended payments option with 0% if available or to an average to 3 to 3.5 % interest depending on the credit card. Remove the white elephants hatch a plan to remove closet clutters on your home which require time and effort to do. Make a general cleaning plan at home. This would be ideal for doing the tedious part. Doing inventories of used items or other personal belongings that are no longer wanted could be transformed them into cash through garage sales in your local community to make positive cash flow in your pockets. Get a part-time job if you have three to four hours to spare on a weekdays or on a Saturday. Learn to utilize time with a new line of work that could increase your cash flow by getting a part-time work. There are different ways to do this from direct selling items for personal use to being an online independent contractor in the internet. Read more books to keep you entertained and amused it would be advisable to read more books that are useful from everyday life with topics like personal finance, spiritual, self-help to name a few. Reading books helps in being a well-rounded and knowledgeable person. Electronic books (E-books) are gaining popularity with tabs and other electronically compatible gadgets. E-books are more cheaply compared to the conventional format but still some people prefer to read the real books which are tangible. Make it a habit to beat your record from previous year on how many books you read and understand and apply what you have learned in real life. Stay physically active With increase in food consumption in the past, this could take a toll on your body especially your weight and health. Your physical well-being is your top priority in this endeavor. Make it a habit to sweat it out frequently either twice or thrice a week with cardiovascular work-out. It helps in boosting your immune system. A word of advice, to those intending to join running bandwagon or other sporting activities that you should train at least 8 to 10 weeks and do pre and post stretching after an intensive work-out before signing up for any competition in order to prevent injuries. Eat Right In connection with tip no. 8, eating a well balanced healthy meal and diet is necessary to have a healthy body. A meal should comprise of the needed nutrients needed by our body to do daily activities. Avoid unhealthy vices With the passing of Republic Act 10351 or the Sin Tax Reform 2012. Alcohol and tobacco had tremendously increased their retails prices due to added excise taxes, the cost of an average pack of 20 piece cigarette can be around 40 to 60 pesos now compared to 30 to 40 pesos per pack of 20s. On the other hand, distilled spirits have P20 per proof liter plus 15 percent of the net retail price per proof liter effective 1st January, 2013. If you cannot stay away from this, remember to control these bad habits because it affects your body and mind. Donate Relating to tip no. 5 if you have excess clothes or personal things that you want to throw away but are still deemed useable. You can give them to charitable institutions or causes that needed them like those affected by Typhoon Pablo in Mindanao. Donating shows the act of kindness to others. Have faith there is nothing wrong in having belief in a divine power of whatever religious denomination we belong to. We need to pray or come in communication and express our inner experiences and spirituality to God. Financial reprogramming Your Money Blueprint In T. Harv Eker’s book “The Millionaire Mind”, changing the way of thinking on how we perceive money is the answer if you act on it. Did you know that the rich people are working more hours than the average person. Rich people are determined to be rich if they work smartly and hard. Did you know that rich people also admire other rich people because they get inspired to be like them on what they are today. It is a good thing that we have managed to survive the year 2012 and outlived the speculations of that ancient prediction of impending doom of our world but in reality we know that it is not too late to save yourself from a brink of financial collapse. Their are many ways to start our personal finance and this are done through financial services training program. We can get the training of it and easily start our personal finance. This blog is really good to start our personal finance this year. Yes, there are lots of seminars and trainings to attend to.. Interested to know more on financial? Will figure soon available personal finance training seminars available in the Philippines. Start saving money as early as possible will jumpstart your plan towards prosperity. The economy of the country is doing well. We are in the third world country and the only way is to go up. Join the flow of going up. Invest your money wisely and find more ways to earn more.